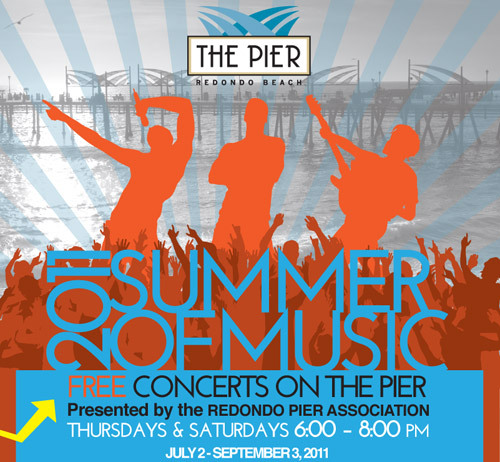 The 2011 Summer of Music on the Redondo Beach Pier concert series opens Saturday, July 2 at 6pm. Couchois Bros. will perform classic R&B from 6 to 8 pm. The free concert series continues throughout the summer every Thursday and Saturday, 6:00 – 8:00 PM, July 2 to September 3, 2011. Visit redondopier.com for schedule updates and information.